Tablets are great for a wide variety of mobile computing tasks. The Apple iPad 2 isn’t just an awesome device; it’s “magical” if you believe the Apple marketing hype. As astounding as tablets are, though, they are not without their issues. 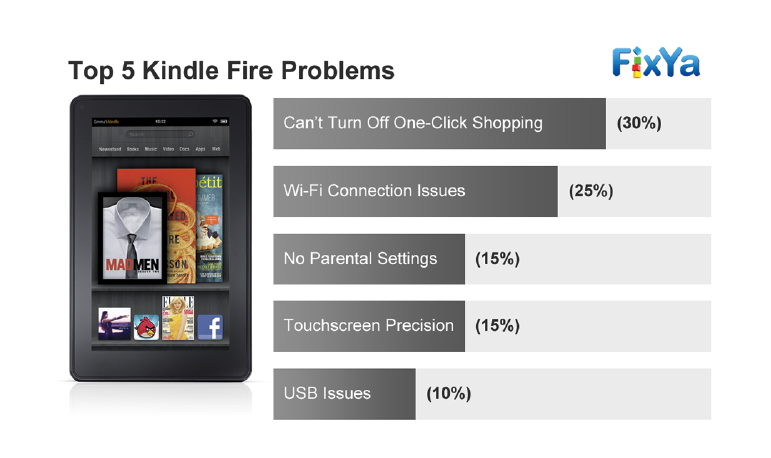 A recent survey from FixYa uncovers the most common complaints from iPad 2 and Kindle Fire users. I have both an iPad 2, and a Kindle Fire, and I love them both. However, I can also attest to at least some of these top issues reported by FixYa. 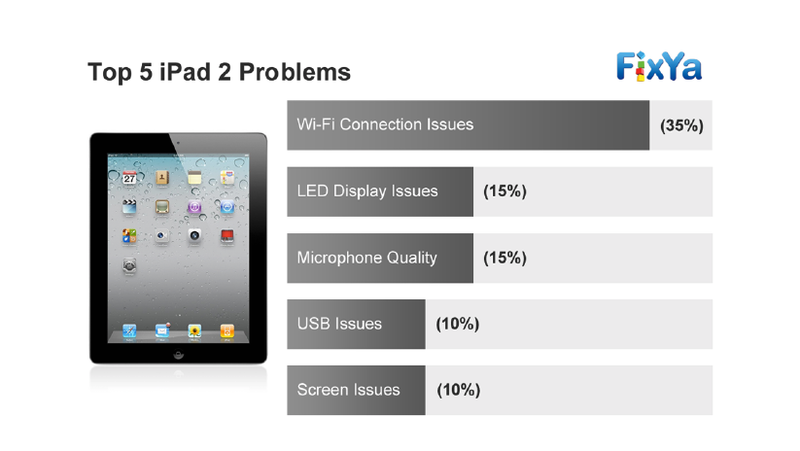 FixYa, an online community tech support forum, compiled data from complaints for both the iPad 2 and Kindle Fire, and grouped them to determine what the most common issues are. Overall, FixYa found evidence to support the maxim “you get what you pay for,” because the Kindle Fire appears to have more issues than the more expensive iPad 2. Many of the top issues with the Kindle Fire seem to be related to the fact that the device, and Amazon’s proprietary flavor of the Android OS are designed to make it easier to buy and consume content. That is an advantage if your goal is to consume content, but that convenience becomes a handicap when it comes to preventing others from making purchases on your behalf, and blocking kids from viewing or buying inappropriate content. Top five most common iPad 2 issues. On the iPad 2 side of the coin, the only issue I am familiar with personally is the flaky Wi-Fi. Although it seems like it is connected, I frequently have to go into the settings of the iPad 2, and renew the DHCP lease in order to get it to access sites and resources on the Internet. Hopefully the iPad 3 will address that issue. Some of these issues are systemic to the device itself and can’t be easily resolved other than by Amazon or Apple as the case may be. But, for the problems that do have a fix or workaround, you can refer to the FixYa site for helpful hints to help you address these issues and get the most out of your tablet. As a side note, I find the new Amazon Kindle marketing campaign very interesting. Rather than simply highlighting the fact that the e-ink display is much better for reading in direct sunlight, Amazon seems to tout quantity over quality. To sum up, the commercial seems to imply that you should get two Kindle Fires and a Kindle Touch for the same money as the base iPad 2.